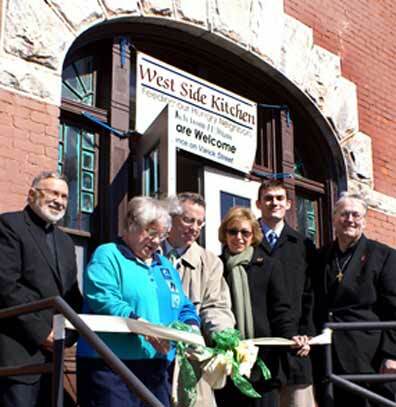 UTICA, NY, Dec. 5, 2016 Mother Marianne West Side Kitchen will host a Christmas dinner from 11:30 a.m. to 1 p.m. Sunday, Dec. 25, at St. Joseph and St. Patrick Parish Center, 702 Columbia St. NEEDED: Donations of ham, potatoes, corn and peas, plus volunteer crews to help prepare and serve the dinner, and clean up afterward. The soup kitchen is named after parish daughter St. Marianne Cope, who grew up and attended school at the parish before becoming a Franciscan sister and ultimately caring for leprosy patients in Hawaii.